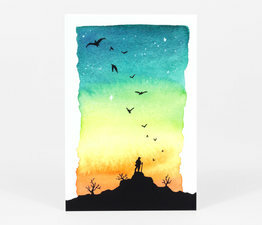 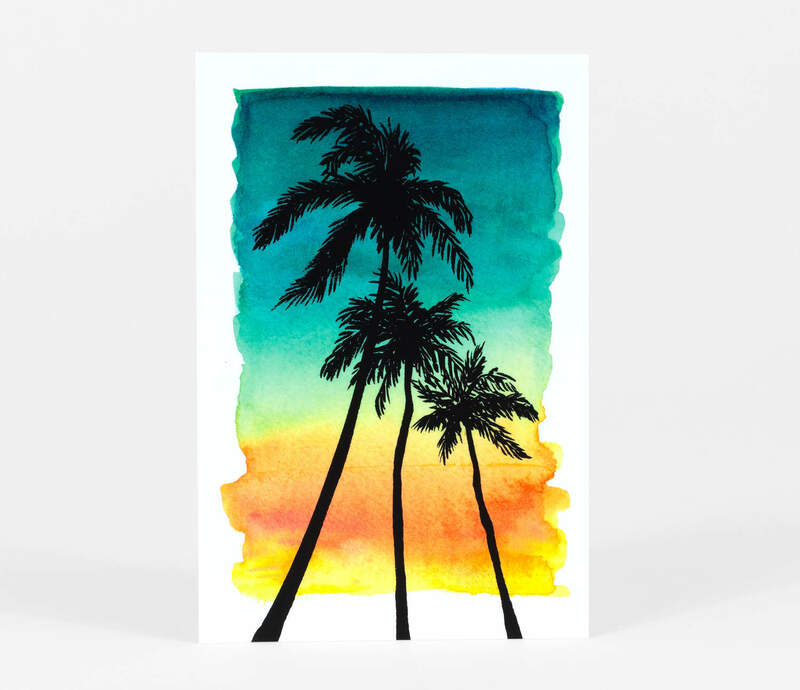 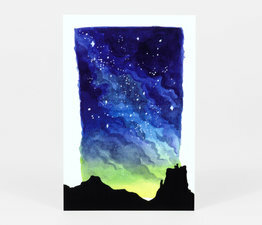 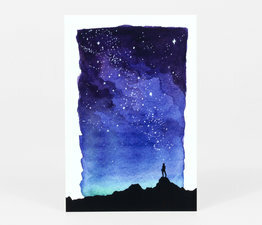 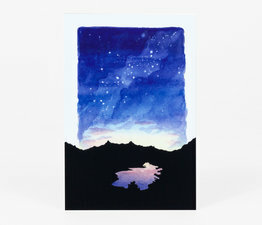 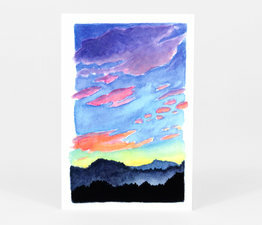 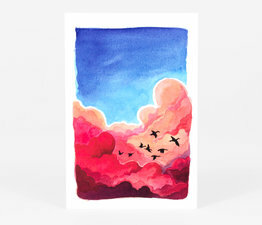 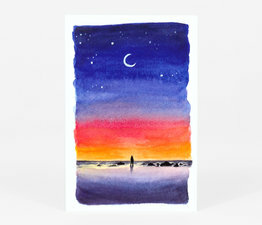 A dreamy postcard from Lucy Bellwood’s watercolor skyline series. 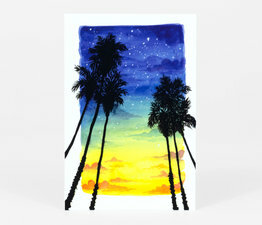 Printed on a 16pt card stock with a luscious matte finish. 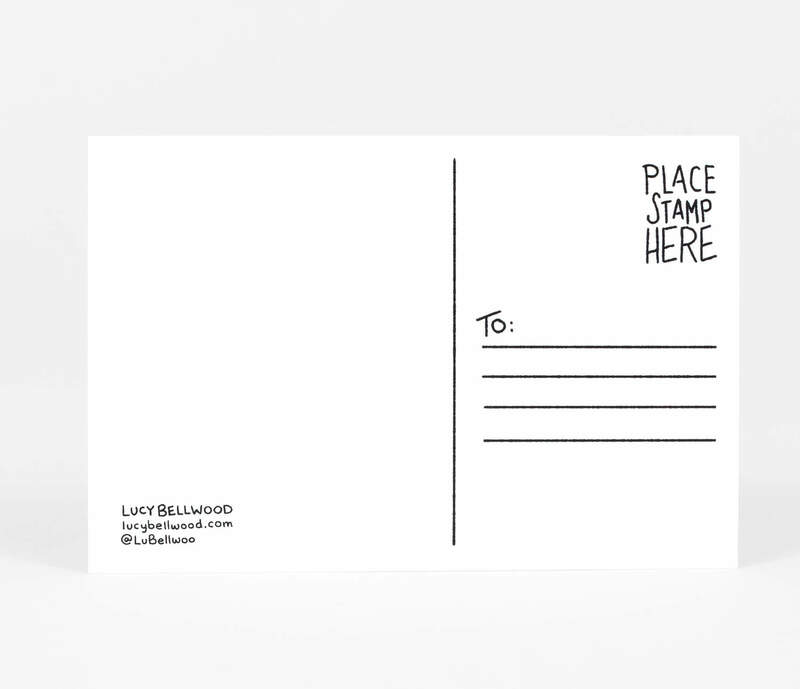 Reverse side uncoated for ease of writing.